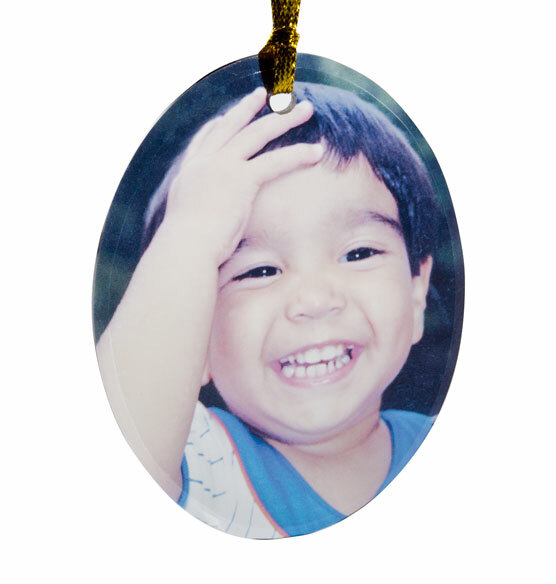 The smooth glass and simple lines of this oval glass photo ornament keep the focus on your photo. The image is transferred onto glass using a method that makes it translucent, so you can see right through the photo. The Christmas ornament catches and reflects light for a beautiful effect on your Christmas tree. Choose to have your photo rendered in sepia, color or b&w to fit your style. 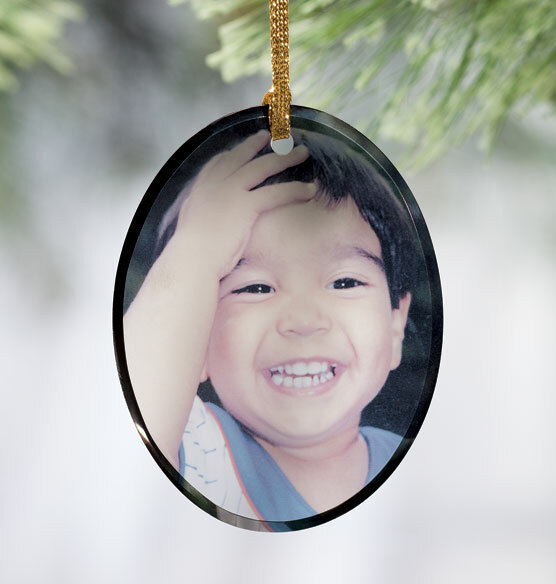 Photo ornaments make a wonderful, one-of-a-kind gift idea. Exposures used to cary a small, simple, rectangular glass frame that you could insert a photo (about 1.5" x 2"). which I have used for years for my children's photos. I was hoping to continue with that same small frame, but sadly Exposures no longer caries it. I'm giving this a try in hopes that it is as classic looking with good quality. I've been ordering personalized photo ornaments for several years now and love putting them on our tree every year. Each ornament brings back a special memory. Loved the idea of downloaded any photo. Last year did the same and it was beautiful. Had to order another this year! just the size I was looking for. what is on the other side? BEST ANSWER: The ornament is glass so the photo can be seen from both sides.